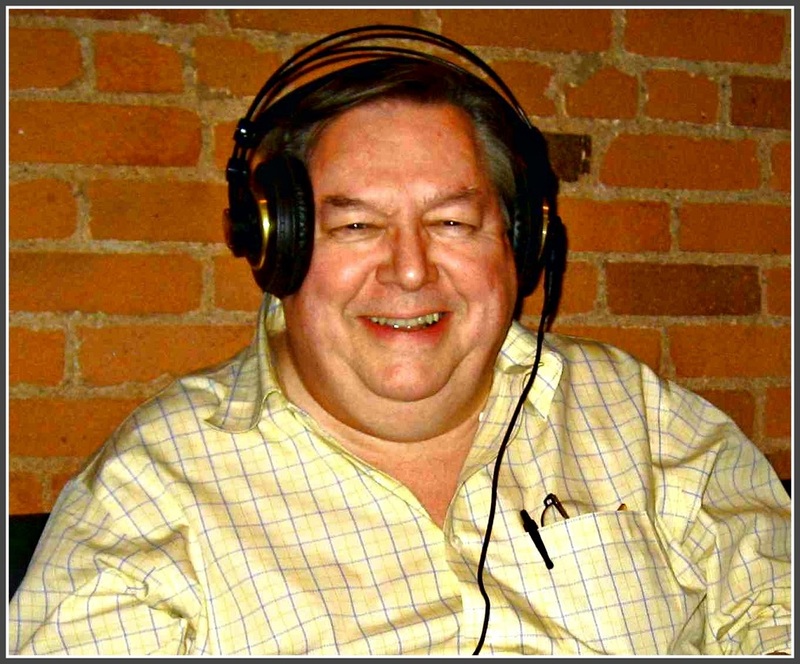 The recent death of Ed Baer — the Westport native, longtime resident and renowned, versatile radio DJ — got local folks thinking about the role of radio in our lives. Inevitably, talk turned to Westport’s rich musical past. Mike Fast has plenty of memories to share. Growing up in Bridgeport in the 1950s, he was one of many young boys fascinated by radio’s reach and power. In 1957 he started hanging out at the WNAB studio downtown. Just 13 years old, he learned all he could about the business. A couple of years later, at Harding High, he spent after-school hours at the station’s transmitter site. Mike had no formal training, but he learned how to build and design his own equipment. Mike Fast, at WNAB’s Bridgeport studio. 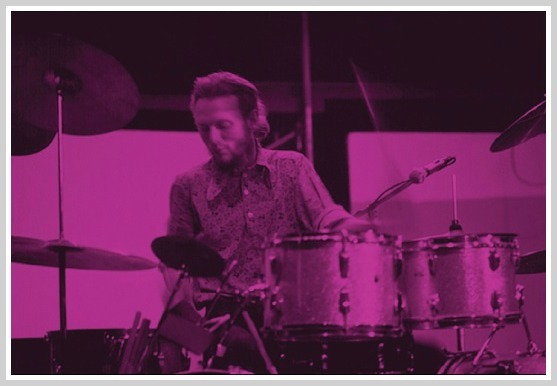 At 17 — through his Westport friend Stuart Soroka — he discovered WMMM. The station’s studio was above Oscar’s, on Main Street. Mike’s interest in Westport was piqued. “It seemed like everyone in town smiled, and wore new clothes,” he recalls. In 1961 Mike, Stuart and a kid named Gordon Joseloff started a radio station at the YMCA. Their 1-watt transmitter — a couple of miles away, at Compo Beach — was hooked up to a phone line in their “studio.” It was an early “pirate” station — and it was called WWPT. 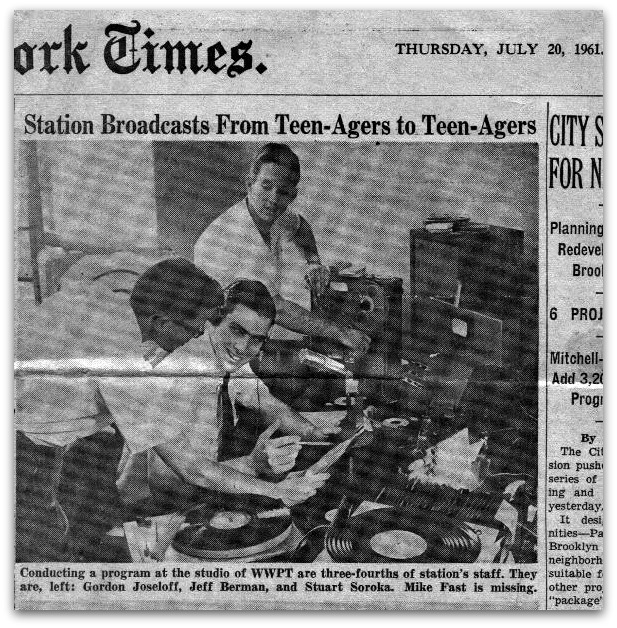 A July 1961 New York Times story on WWPT featured (from left) Gordon Joseloff, Jeff Berman and Stuart Soroka. As the caption notes, Mike Fast was missing from the photo. Joseloff went on to become an international news correspondent with CBS — and later, first selectman of Westport. Today he runs WestportNow.com. Mike’s Westport connection grew stronger. He, Dennis Jackson and Cliff Mills bought a turntable, and ran record hops at the new Staples High School on North Avenue. A poster for dances at Staples High School. Perhaps Mike Fast’s shows cost a dime more than Dennis Jackson’s because they were 2 hours longer. Mike worked other jobs too: doing sound at the United Nations; at the National Radio and TV Center; at WHN. A stint at 1010 WINS lasted “about 10 minutes.” He played the wrong record, and legendary DJ Murray the K threw him out. In 1965 the WMMM engineer retired. Mike talked his way into that job too, even though he knew little about transmitting equipment. Around that time, Staples began bringing live bands to the auditorium. 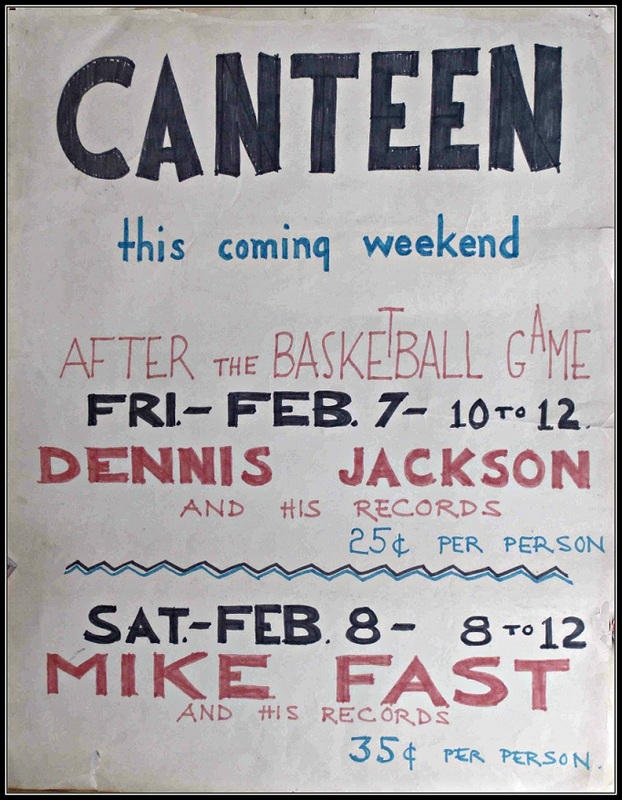 The school had no PA system, so the ever-resourceful Mike supplied groups like Cream and the Rascals with his own. But Mike’s real love was live recording. He worked often with the Westport Country Playhouse, and the American Shakespeare Festival in Stratford (which burned to the ground last Sunday). After doing sound on the road with Edgar Winter’s White Trash, Mike produced and managed his own bands. They were booked all over New England. But those gigs did not pay well. Mike got back into radio. He moved around: Atlanta, Los Angeles, Portland. He returned east — and went back to WMMM. 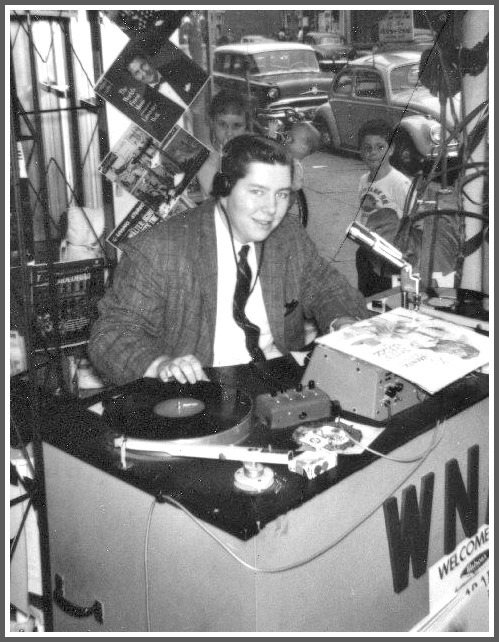 He was there when Donald J. Flamm bought the station, and turned it into WDJF (named for his own initials). When the FCC changed rules — eliminating the need for radio stations to hire 1st-class engineers — Mike was fired. The same day, his wife told him she was pregnant with their first child. But he always found work. Mike has spent his entire life in radio and sound. WMCA, WINS, WMMM — none of them are the stations they once were. But Mike Fast worked at all of them. And — thanks to Westporters like Ed Baer, Gordon Joseloff and Murray the K — he’s had a very memorable career.